Sephora Golding lives in the shadow of her unbelievably beautiful mother. Even though they scrape by in the seedier part of Venice Beach, she's always felt lucky. As a child, she imagined she was a minor but beloved character in her mother's fairy tale. But now, at sixteen, the fairy tale is less Disney and more Grimm. And she wants the story to be her own. Then she meets Felix, and the fairy tale takes a turn she never imagined. Sometimes, a story is just a way to hide the unspeakable in plain sight. ELANA K. ARNOLD writes books for and about children and teens. Some of her books have been included on the LA Public Library's Best Books of the Year list, the Bank Street Best Book list, the YALSA "Best Fiction for Young Adults" list, have been ALAN picks, and have been selected for inclusion in the Amelia Bloomer Project. Her most recent YA novel, INFANDOUS, won the Moonbeam Children's Book Award and the Westchester Fiction Prize. 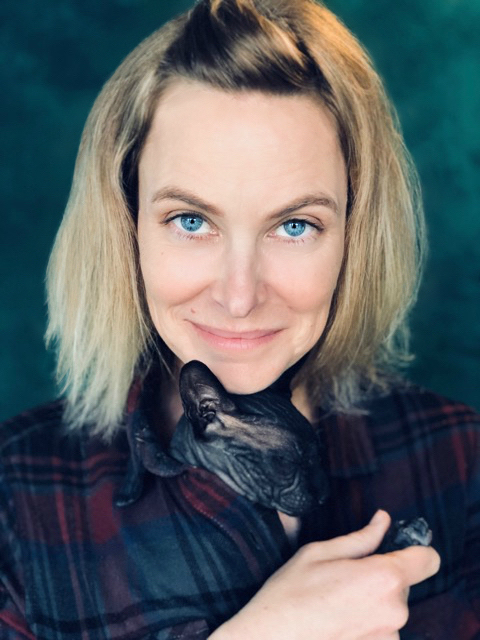 She holds a master's degree in Creative Writing/Fiction from the University of California, Davis and currently lives in Huntington Beach, California, with her husband, two children, and a menagerie of animals. She is represented by Rubin Pfeffer of Rubin Pfeffer Content.